Here is the scenario: You are typing away furiously at the command line when you suddenly need the ASCII hex code for the caret character (^). What do you do? Sure, you could interrupt your typing and consult a GUI character map using the mouse, but why disturb the finger flow when you could easily open a new terminal with a keyboard shortcut and run a simple program that prints an ASCII chart? That program is called ascii. Yes, themes. Are you dissatisfied with the plain black-on-white color scheme? 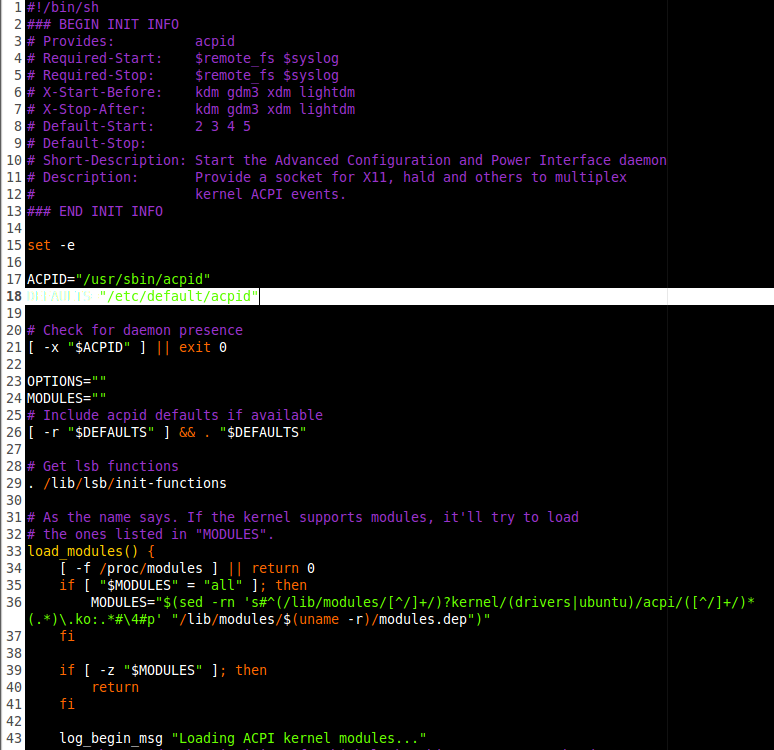 Maybe you prefer a darker theme with bold neon colors for keywords while programming? Or perhaps you simply want to look at pretty, new colors? Gedit supports theme files that change the colors of various parts of text. This is especially valuable for highlighting specific programming languages. You can create gedit theme files yourself, or you can download existing themes from others. Theme files seem to be one of gedit’s best-kept secrets. A few web sites have lists of themes available, but few previews. What does a theme look like before downloading? This article aims to provide screenshots for a number of gedit themes for preview purposes and to show what is possible with gedit. Are you curious to hear to what your spoken Linux computer sounds like from the command line? Are you pining away for that nostalgic, early 1980’s synthetic computer voice? You are? Great! Because in addition to the myriad of other clever tricks Linux can perform, Linux can speak too! 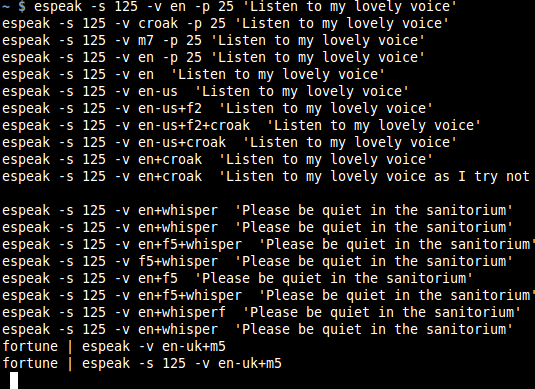 Espeak is a program that converts text to synthetic speech for playback through the speakers (or headphones). Linux produces high-quality audio. At least as high-quality as the audio hardware will allow, but I have noticed that sound quality, whether it be music, video, recordings, or games, sounds superb when played from Linux. But no matter how well Linux can generate sound, generation is only one-half of the sound equation. At some point, we need speakers or headphones, and this is the other half of the equation that involves hardware. 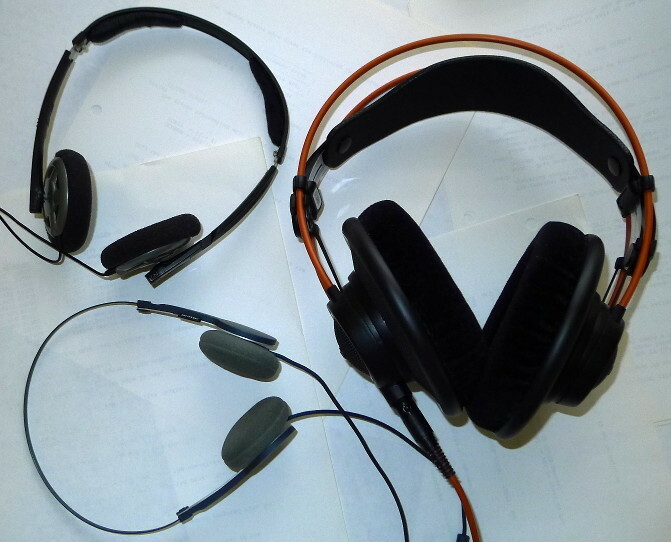 I have had the chance to listen to Linux-produced audio using a variety of headphones, and this article shares my opinions of these headphones after using them for months and even years. It’s a form of encouragement muttered to a machine running slowly after being bogged down with compute-intensive tasks. Whether it actually helps or not is anyone’s guess, but, for a brief moment during the incantation, it seems to somehow boost the computer’s self-esteem and provide added motivation to hurry up–just a little. Often spoken after drumming fingers on the table. Which is Faster: Btrfs or ext4? Whatever the preferred pronunciation might be, the 64-bit Btrfs file system is now in its second year as a stable release since 2013. Btrfs features a number of file system improvements to ensure the reliability of data. While it might not be as heavy-duty as the older but more industrial ZFS introduced in 2005, Btrfs gives Linux users a chance to use modern file system features comparable to ZFS without becoming entangled in the legalese that ZFS tends to bring. But how does Btrfs compare to the existing ext4 on an everyday desktop system? Will file transfers be faster or slower with Btrfs? 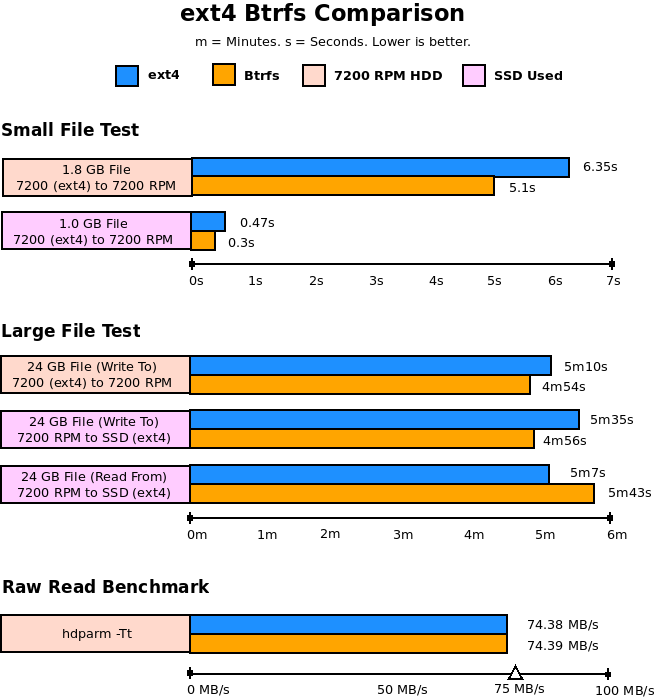 This article is a short comparison between ext4 and Btrfs using a dedicated 7200 RPM hard drive for Btrfs testing in a desktop computer. The only purpose is to time a few file transfers, not to compare all aspects of both file systems to each other. Is there a difference in transfer rates between ext4 and Btrfs? No online review provided a satisfactory answer. Some results reported that Btrfs was too slow, and others reported that Btrfs screamed past ext4 and xfs. “How would Btrfs perform for me?” So, I performed my own tests using everyday hard drives and hardware. Btrfs shows promise as reliable Linux file system capable of handling large storage volumes (up to 16 exabytes), but how do you format a hard drive with it?